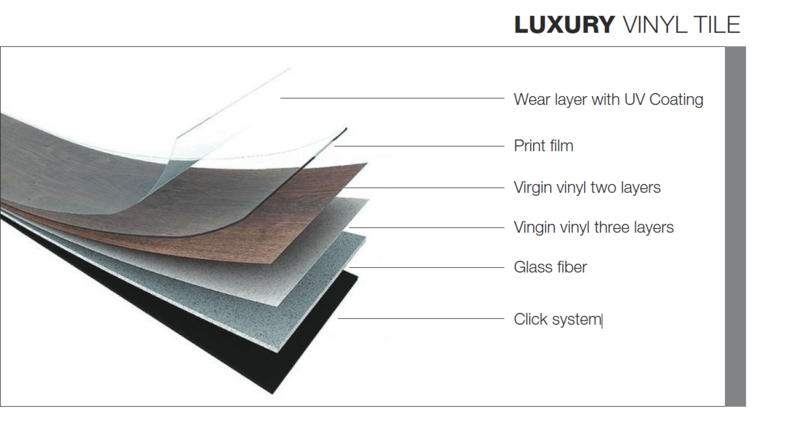 Product categories of Vinyl Flooring, we are specialized manufacturers from China, Vinyl Flooring, Vinyl Plank Flooring suppliers/factory, wholesale high-quality products of LVT Flooring R & D and manufacturing, we have the perfect after-sales service and technical support. Look forward to your cooperation! Vinyl Flooring is a beautiful reproduction ofwood or stone and therefore variations in color, tone and graining are to be expected.Vinyl flooring offers the look of real wood or tile with the exceptional durability and performance that only a luxury vinyl floor can provide. DECNO luxury vinyl flooring offers the look of real wood or tile with the exceptional durability and performance that only a luxury vinyl floor can provide. Due to the feature of 100% waterproofs, it can be installed everywhere kitchens, basement even full bathrooms.